Pablo is a cat of a different sort. This 6 month old neutered male has definite catitude. He knows what he wants and when he wants it and is not shy about letting you know. Pablo will need to go to a knowledgeable home with no small children. Pablo does not like other cats and barley tolerates the females he is currently sharing his room with. Other males are not acceptable to him at all. We feel he would do best being the only pet in the home, so he does not have to share his domain. 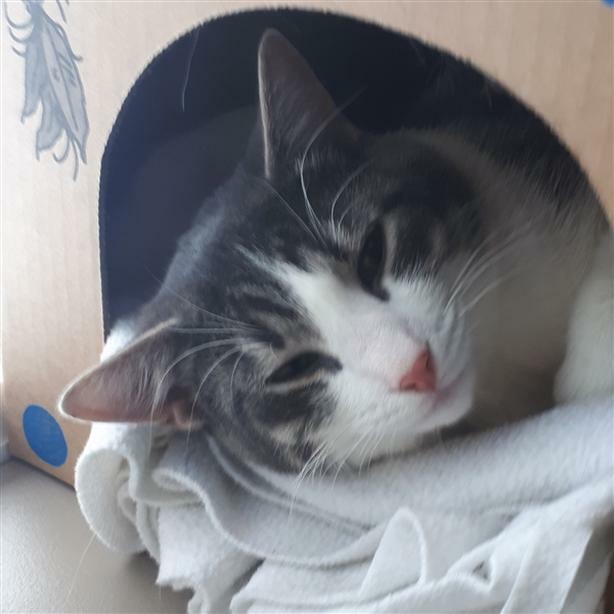 If this little Prince sounds like your purrfect match , come to the Williams Lake Branch to meet with Pablo today.